Thursday August 16, 2018 - Professionals and former elected leaders have formed a group to foster healing and unity as well as check on the implementation of the handshake. 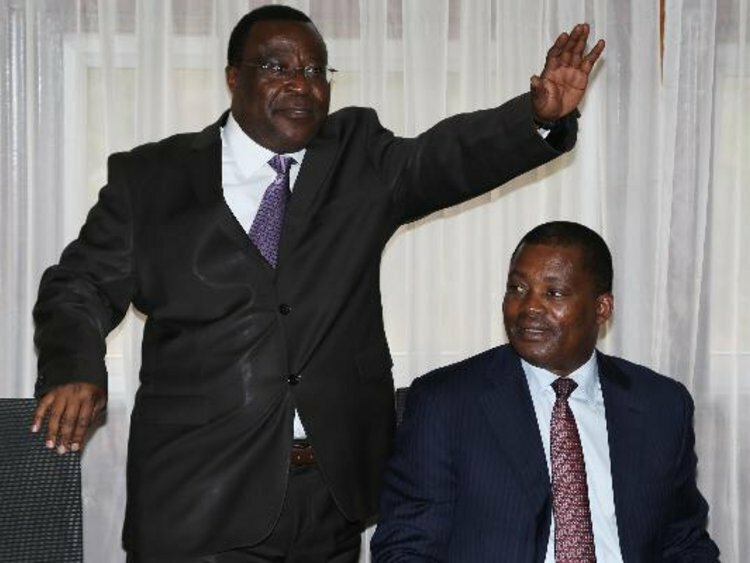 The Dialogue Contact Group (DCG) will shadow the ‘Building of Bridges’ initiative that began after the handshake between President Uhuru Kenyatta and NASA leader, Raila Odinga, and is designed along the lines of the 2001 Ufungamano Initiative. The team brings together 40 people from different disciplines and aims to promote dialogue about national interests and offer recommendations on how to unite Kenyans. The DCG was unveiled at Crowne Plaza Hotel yesterday by former Senate speaker Ekwee Ethuro. Ethuro said the team should ensure that leaders deliver on their promises. “We need to stand up for each other as a country because a nation without a soul cannot stand,” said Ethuro.